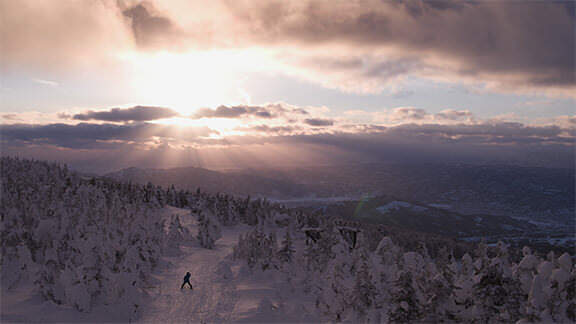 Zao’s snow rime consisting of trees covered in snow and ice is also known as “Snow Monster” due to its unusual presence. The sight of the field full of trees with snow rime is truly mystic and unforgettable. 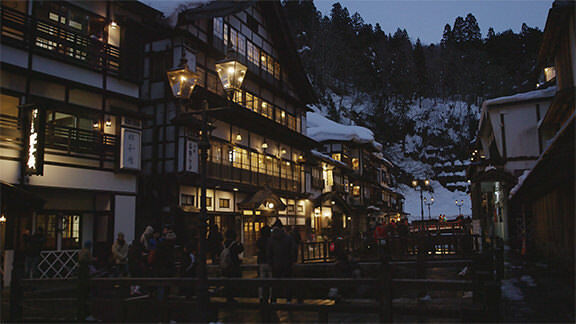 An onsen town full of “Taisho Roman” with many wooden buildings. At night, the snow on the ground and the steam from the hot spring are lit by the light leaking from the cabins bringing a nostalgic feeling. An ancient temple where fishermen worship the guardian deity and dragon god of the sea. 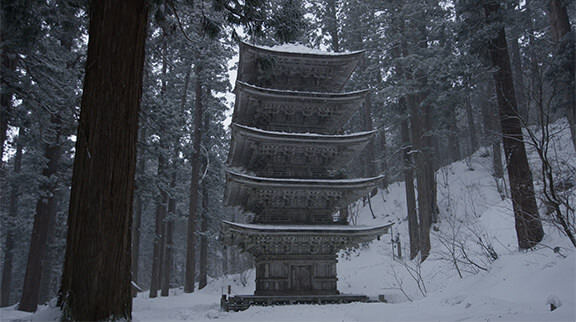 A dignified mood becomes present with the snow falling on the five-storied pagoda, which was built to respect sea animals, and the main gate, which the two guardian deities, Bishamonten and Idaten protect. One of the so called “Dewa-sanzan” along with Mt. 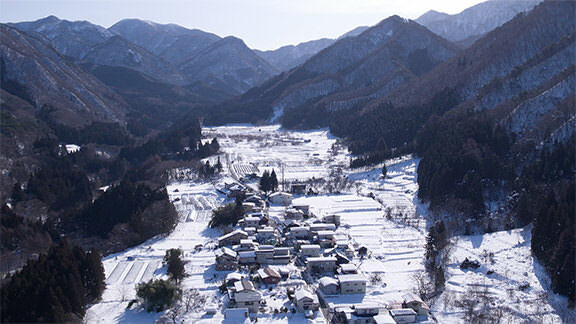 Yudonosan and Mt. Gassan, and is a nationally renowned mountain for mountain worship. The stone pathway surrounded by cedar trees carries a divine atmosphere. The five-storied pagoda, an official national treasure, which suddenly appears in the cedar forest is a must-see. Introduced in Basho Matsuo’s “Okuno Hosomichi”, Shiraitono-taki is the highest out of the 48 waterfalls of the Mogami River, and is the best scenic spot. 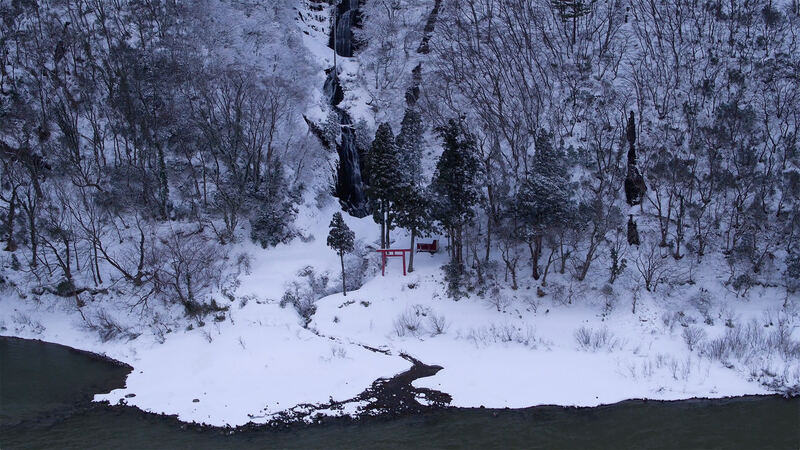 In winter, you can ride on a warm kotatsu-boat and look up at the water falling down through trees covered in snow. 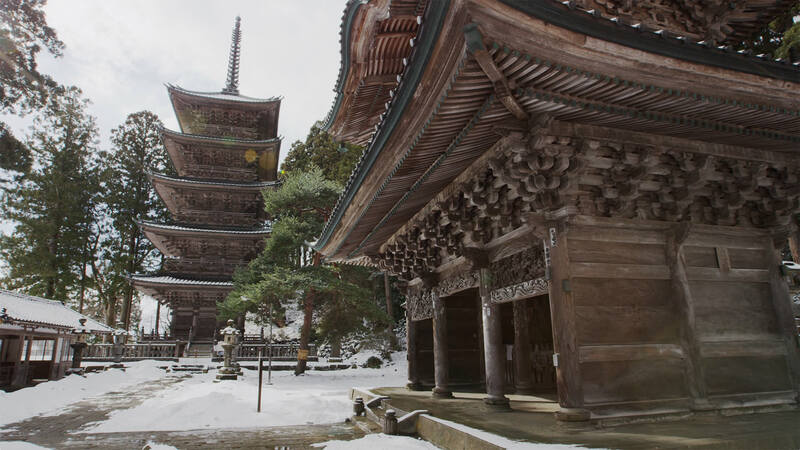 Although the temple’s roof and paths get covered in snow, the Godaido Hall stands on a cliff overlooking the surrounding area. In winter, the snow-covered village of Yamadera looks like it sprang from a traditional ink painting.